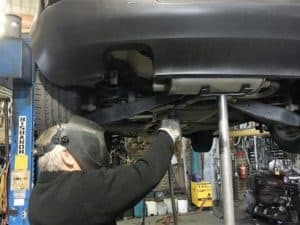 If you are searching for a company to repair or replace the exhaust system on your vehicle, call Alan or Wayne on 03 9791 8455 today. Your vehicle’s exhaust system has a critical role to play in the efficient operation of your vehicle, and for the safety of you and your family. Many components come together to make a quality exhaust system. Each component has a different role to play. 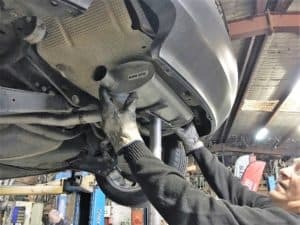 This section of our website aims to help you understand the role of exhaust system components, and the reason some fail. The exhaust manifold is at the front of your system, bolted on to the engine. In some cases the manifold will have been replaced by extractors or headers. Manifolds are usually made out of cast iron and are prone to cracking due to the extreme heat they have to withstand (up to 1300°C). 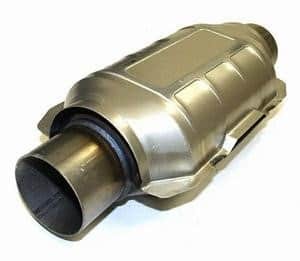 In recent years vehicle manufacturers are fitting Manifold Catalytic Converters as an intergrated part of the exhaust system. This is in part because the cat-manifold design ensures the cat is positioned where the exhaust gasses are at their hottest as they escape the engine. The hotter gases are burnt off, this results in less emissions and a more fuel economical vehicle. 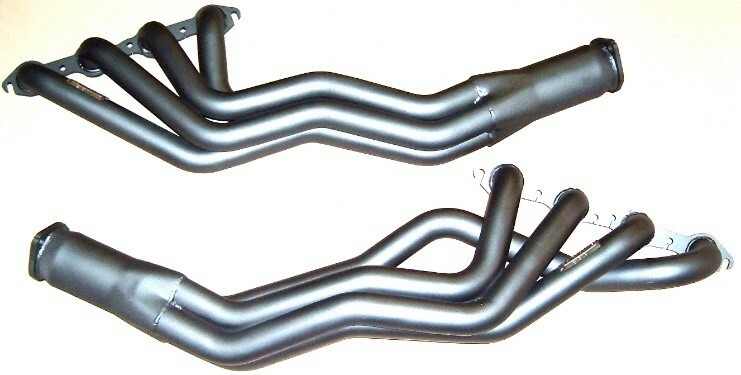 The engine pipe connects the manifold to the catalytic converter. Exhaust gases will have cooled down to around 1100°C by the time they pass through the engine pipe. Again, the most common reason for engine pipe failure is cracking due to excessive heat. As its name implies, this component converts the harmful gases produced by an engine. Three way converters are the most common in today’s vehicles. They contain a ceramic substrate (honeycomb like biscuit) which is impregnated with three precious metals (usually Platinum, Palladium and Rhodium). As the engine’s harmful gases pass through the substrate, they are converted from hydrocarbons, carbon monoxide, nitrogen oxides into carbon dioxide, water, nitrogen, and oxygen. This catalytic reaction starts as operating temperatures reach 200°C, with optimum efficiency reached at 600-800°C. The life expectancy of a converter is around 80,000 kilometres or 5 years, whichever comes first. Diesel Particulate Filters are an industry response to the ongoing tightening of exhaust emission standards for diesel vehicles. As their name suggests, they clean the particulate matter (soot) from exhaust gases by passing them through a filter that traps the particles. The DPF collects these nasty particulates as we drive along, and periodically they are superheated and burnt off in what is known as a ‘regeneration’ cycle. There are two DPF ‘regeneration’ cycles, active and passive. An active regeneration cycle injects additional fuel into the engine to create the high temperatures required for burn-off. 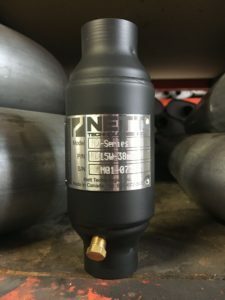 Other DPFs have an injector that injects either diesel fuel or an additive directly into the filter during the regeneration process. DPF systems that are able to regenerate themselves using only the exhaust gas stream, without additional energy inputs, are known as passive systems.